Beautifully decorated with tropical rattan furniture and ceramic tile, you can enjoy a 180 degree panoramic view of the Atlantic Ocean from the third floor wrap-around balcony. 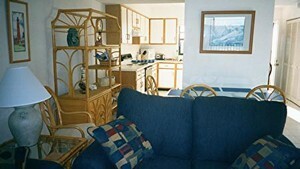 The master bedroom has a private bath and a king-size bed over looking the Atlantic. 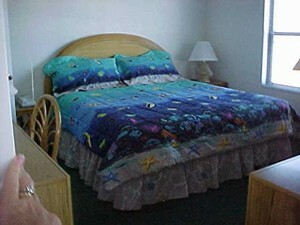 The guest bedroom overlooks the pool and has two twin beds. Pets are Not allowed, No Smoking. All you need to enjoy your vacation is your toothbrush and bathing suit. 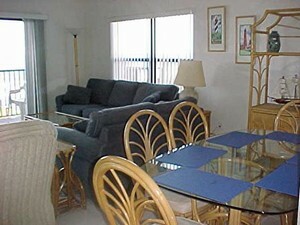 We even provide the beach chairs, towels, boogie boards, and fishing pole. 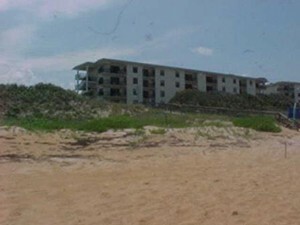 Beach chairs, fishing pole, beach towels, cooler, just bring your bath suit! 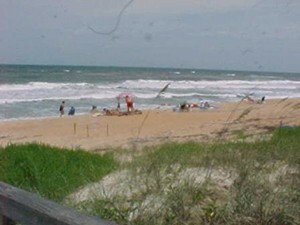 Daytona Speedway 10 miles, St. Augustine 50 miles north, Flagler Beach 5 miles north. Disney and SeaWorld approximately 1 1/2 hour drive. 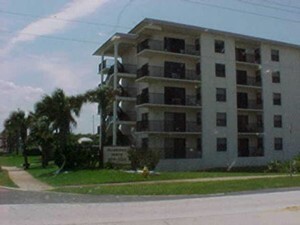 Seabridge North is located on the northern penisula with the Atlantic Ocean on one side and the Intracostal Waterway on the other end of the street. Seabridge North is located on a pensisula with the Atlantic Ocean on one end of the street and the Intracostal Waterway on the other. The complete kitchen is there if anyone wants to cook!! 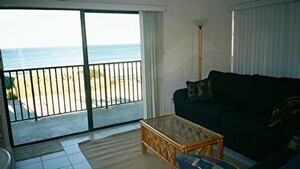 Sit in the recliner and watch the dolphins! 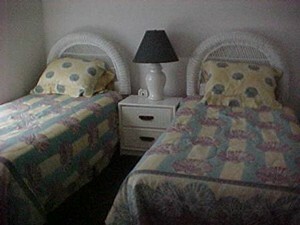 The guest bedroom has 2 twin beds and a walk in closet. A walk over takes you to a private no-drive beach. King Size luxury to see the waves from the bed. The Master Bedroom has a private bath. Deposit: $200 at the time of reservation. $200 security deposit refunded within 10 days of check out. Cancellations and Refunds: Full refund 60 day prior to check-in. Other Fees: $200 reservation fee. $200 security deposit returned with 10 days after checkout. All fees due 30 days prior to check in.